The idea behind it, is to give more information on the map than what is found in the regular game play. Information like which gold mines are wealthier, and which enemy creatures are deadlier. Research, in which you need to figure out how and where the map data is stored in memory, and how to find where it is stored every time the game restarts. Developing, in which you write a code or a script to change the map data in real time. In this tutorial I would only display the research phase up to the point of proof of concept. To perform this research I need an Interactive Python Interpreter. This would bring up the question of which version of Python should I use. Games are for Windows. So I'm gonna use Python for Windows (Better use the one from Python.org than Active-State Python). I'm about to research a 32bit process so it is better, although not a must, to use 32bit Python. The tool-chain I wrote is not ported to Python 3.x just yet, because I'm lazy, so Python 2.7 or 2.6 would have to serve me this time. As for the Interactive Interpreter, I prefer the Dreampie. Or just get the installer from http://www.4shared.com/file/jE4xjHDb/NativDebugging-10win32.html? . and double click to install. Now that I have got the entire environment set, let's get the party started. 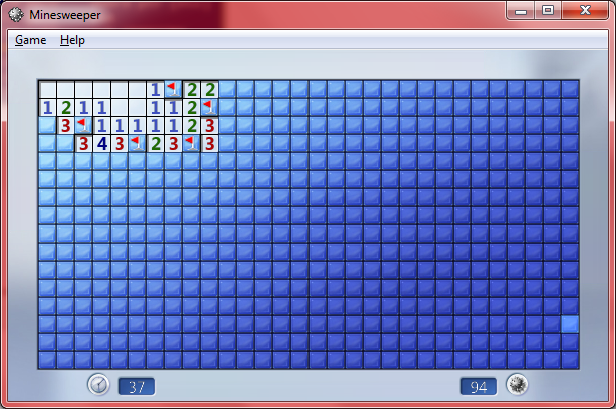 Let's start with something easy that everyone likes: Minesweeper (AKA: Winmine). tasklist /Fi "IMAGENAME eq winmine*"
Or from Python using the NativDebugging module. Next I want to tell the NativDebugging module what is the target. I need to get details about where in the 4GB virtual address space memory is allocated. The m.getMemoryMapByQuery method suits for the job. This operation might take some time, depending on how much memory is really used by the target process. I continue by causing more changes to the first square and invoking the removeUnchangedMemory method. To check how many potential memory addresses are left the "len" method on the DifferentialSearch object can be used. 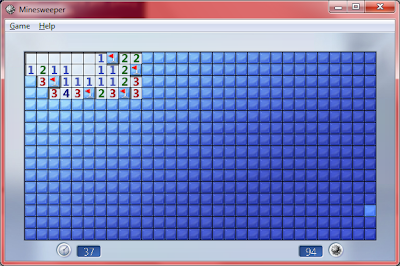 Filtering process is repeated until only one or two places in memory are left. Now I can get the address that was found simply by looking at the DifferentialSearch object or by retrieving its' data in index 0. One can also try to write over the memory to see how the game behavior is changing. 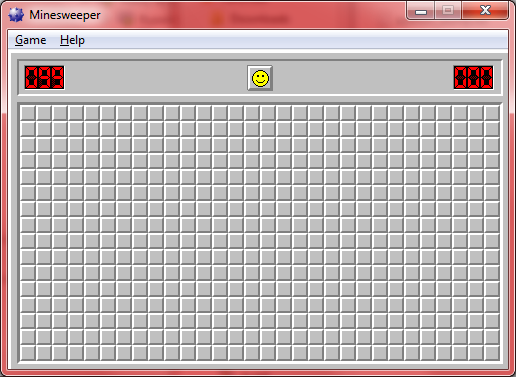 Can you tell where all the mines are placed? In real games, the principle is quite the same, though it takes more time. The main difference is that the map is usually allocated dynamically so one would also have to find a global pointer to it, to be able to locate the map in memory quickly. 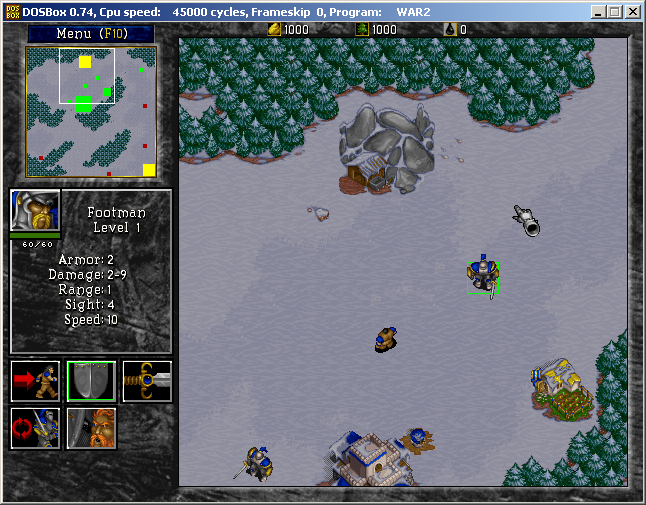 I have an example of the same process done on the WarCraft II strategy game, but this blog post is long enough as it is. So maybe next time. I believe that the search function could be much faster, I would love to have some help in optimizing the code. The GUI has lots of room for improvements. I need to write an installer, and to create a Python 3.x branch.